The main task of this game is to score goals. Using your mouse you must hit the puck with the stick in such a way that you score a goal in opposite gates on the field. The winner is that who will score twelve goals. In arcade mode you can collect power-ups, which will help you to win. 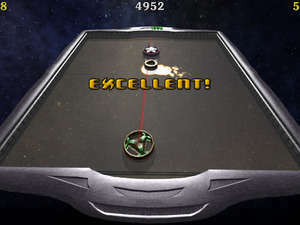 AirHockey 3D 1.82a is a shareware program and can be used as a demo to try the software until the free trial period has ended. A full version of the program is available after the trial period ends. For security reasons, you should also check out the AirHockey 3D download at LO4D.com which includes virus and malware tests. Additional screenshots of this application download may be available, too.